Volkswagen is tweaking its partnerships in China, paving the way to migrate some production of the popular Audi brand out of its joint venture with the decrepit China FAW and into the more dynamic SAIC. FAW may mourn, but the Audi team is most worried about Mercedes Benz, not its local partners. After three decades of policy coddling, Chinese domestic JV brands are still not competing at the Germans’ level. The Chinese market has provided a precious cushion for Volkswagen as it recovers from damage done by an emissions scandal that began in the United States in 2015. 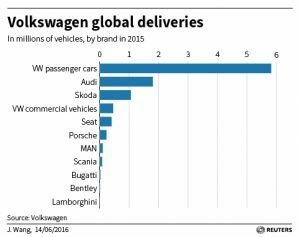 Volkswagen delivered nearly three million passenger cars to Chinese customers in the first three quarters of 2016, a rise of over 10 percent and nearly 40 percent of the company’s worldwide total. Audis make up a fair portion of the profit from those sales, thanks to early entry into China and a position as the country’s dominant luxury brand. On the face of it, this might make Volkswagen wary about snubbing FAW, a state-owned giant launched in 1956 with Soviet assistance. Not so. The Wolfsburg-based group’s move to get closer to SAIC makes business sense. Its partner already makes Volkswagen vehicles and it’s China’s largest automaker by volume with nearly $80 billion in revenue in the first three quarters. SAIC is far better placed to fight off encroachments from foreign luxury brands than FAW, struggling with the fallout of a corruption investigation. Better yet, SAIC is no threat. Beijing requires foreign carmakers to form joint ventures, originally part of a plan to transfer technology to build global Chinese competitors. That didn’t happen. Official data show China only exported around 320,000 passenger cars in the first nine months of 2016. Meanwhile brand development efforts for domestic models still look like afterthoughts. SAIC’s upscale Roewe brand, for example, sounds like “wrong way” pronounced in Chinese. Then there are Guangzhou Auto’s Trumpchi, Dongfeng Motor’s EQ7240BP, and the Geely PU Rural Nanny. Easy JV profits have not noticeably been reinvested in developing international marketing savvy. Geely, however, is learning. That may be because rather than joint-venturing, it acquired Volvo from Ford in 2010. Geely turned the Swedish brand around, and is now launching a “Lynk” brand in international markets. Geely has escaped the partnership trap. For its Chinese peers, policies designed to produce domestic champions have instead numbed them with easy profit. Volkswagen's Audi unit said on Nov. 14 that it was in talks with China's SAIC Motor – already the joint-venture maker of VW-branded cars – for a long-term collaboration. The statement also said that Audi's existing FAW-Volkswagen partner will add five locally produced Audi hybrid models. A source told Reuters that the two sides had signed an agreement that could pave the way for Volkswagen's JV with SAIC, China's largest automaker, to make Audi cars. Volkswagen on Oct. 27 raised its full-year sales and profit outlook. Europe's largest carmaker now expects revenue in 2016 will be at last year's level of 213 billion euros, compared with previous expectations of a decline of up to 5 percent. 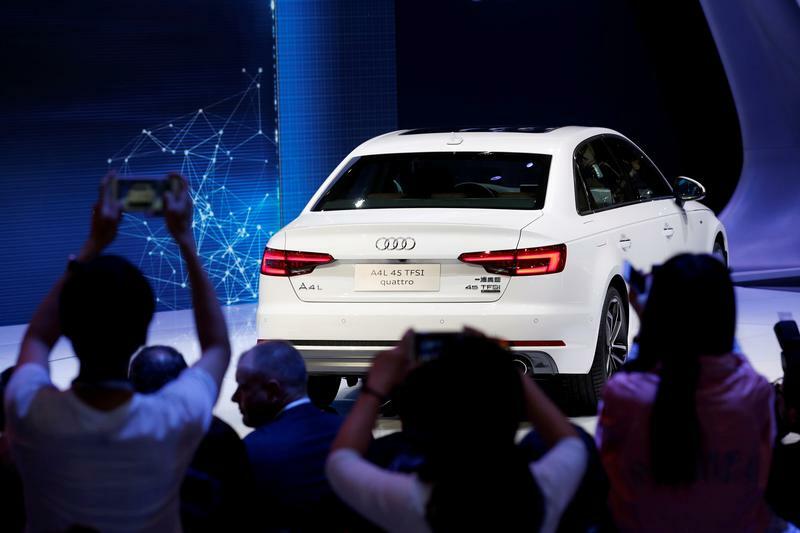 Audi, the group's high-margin premium brand, will fall short of its operating margin target of 8 percent to 10 percent this year, due to rising costs associated with the company's emissions scandal and possible recalls of cars fitted with faulty airbags. Volkswagen reported deliveries of 2,848,981 passenger cars in China in the first nine months of 2016, nearly 40 percent of the worldwide total and a rise of 10.7 percent from the previous year.